Lauren: My little girl, Oakley, has a one in two million people diagnosis- a rare benign tumor called Infantile Fibromatosis. Statistically, it will be another 40 plus years before anyone in the world is diagnosed with her type of tumor. When we found out, Oakley was six months old and at eight months old she got her tumor removed. When it came to removing the large mass of her tumor, they had to leave a piece because it was on her spinal cord. It then grew and wrapped itself around her vertebral artery that flows blood to the brain and controls’s the right side of her upper body. At that point, we figured out we would be starting chemotherapy. Oakley did one year of chemo in the clinic every Friday. She did amazing with it! She just now started her new chemo about a few weeks ago. This new chemo is a targeting agent. She receives this chemo from me every single morning. When I initially found out about Oakley’s tumor, I was nervous and scared. But, coming into the clinic our fears were released. 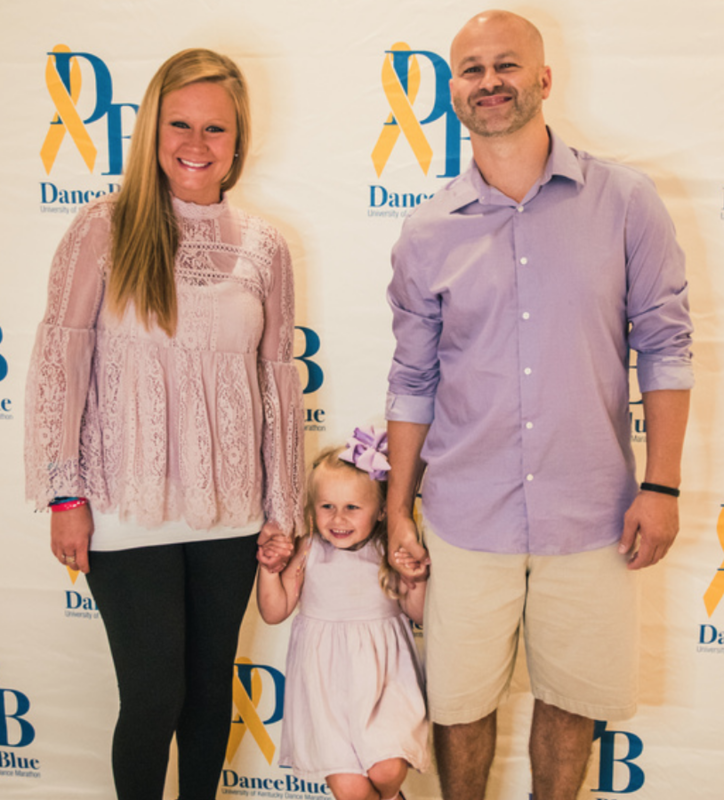 From the staff to the DanceBlue volunteers that play with Oakley, she now looks forward to seeing them and playing with them at the Clinic. What has been the hardest part of this experience? Lauren: Having a child that can’t play in the dirt or can’t do things that other children do. To Oakley’s understanding, she has to go to the clinic for a special medicine and we have told her that her port-a-cath is a special heart. It was hard at first, but she has taken everything like a superhero! She would do her chemo, get sick, but jump right back up. We wanted to make this journey and her journey fun. We want to make sure that she is happy, that she doesn’t feel different, and for her to truly know she is a superhero. We even call her new chemo her superhero medicine. 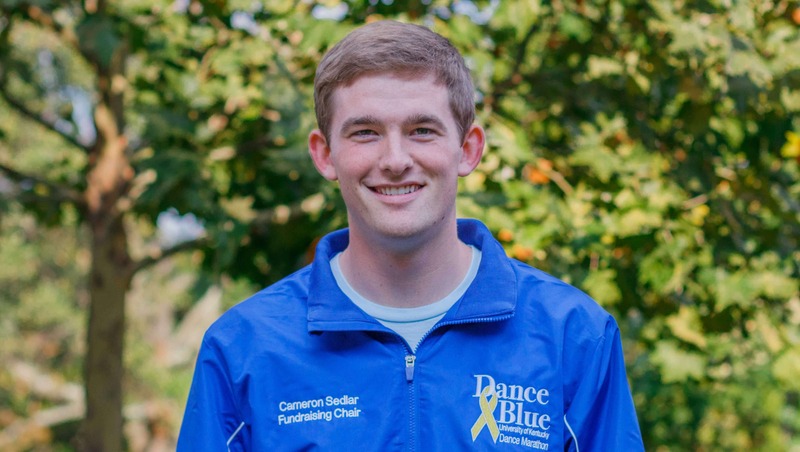 How has DanceBlue impacted you? 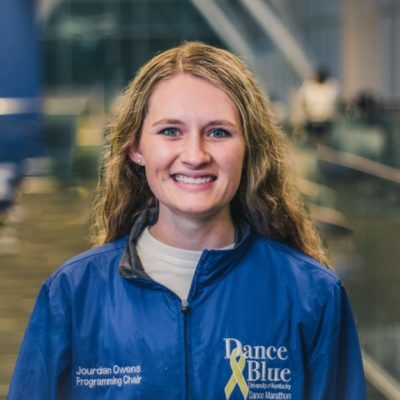 Lauren: DanceBlue has helped me tremendously simply by just having a presence in the clinic. Your emotions, your anxiety, wanting to cry, not wanting to have to go through this, is tough on our whole family. It is so cool to see a student in an “FTK” or “DanceBlue” shirt walk in the room and Oakley’s eyes light up. It’s been amazing and the Marathon is the best part, I couldn’t get Oakley to leave until midnight. I wanted to laugh, cry, smile – I was just overwhelmed by the amount of support. Oakley loves DanceBlue and is ready to go to the Clinic once she knows DanceBlue volunteers will be there. 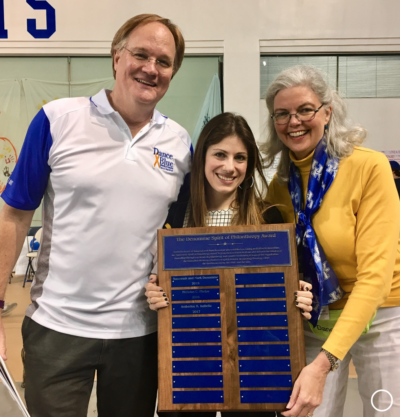 Our hearts are warmed with everything DanceBlue has done for us and her. 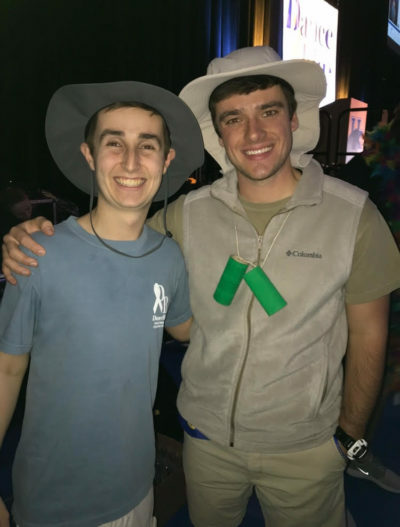 What DanceBlue programs has your family participated in? 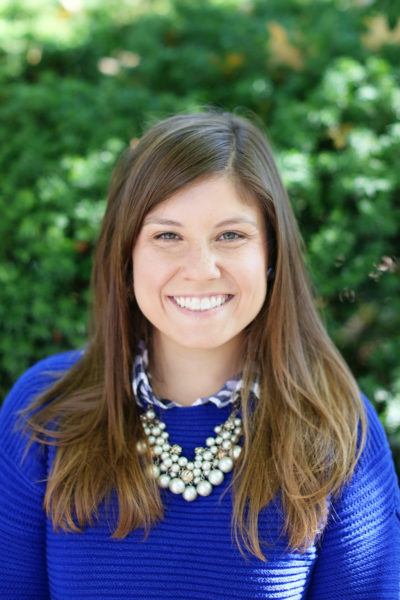 Lauren: The Delta Gamma girls adopted us through the Adopt-a-Family program and have been awesome for us. We have been able to go to their sorority house and hang out and we were able to watch them make a banner for her to put up at the Marathon. We all went out to eat before the Marathon. We’ve been to the Halloween and Christmas family parties which are a blast for both Oakley and her brother, Ford. What would you all like for the University of Kentucky campus to know about your family? Lauren: Oakley is my superhero! I’ve got two superheroes. My son, Ford, is 5 and was just diagnosed with autism. Although I have two children that face different challenges every day, I have never felt more blessed that I get to be their mother. I am the one that gets to call these two superheroes mine. The other day when we were in the clinic, Oakley had to access her port-a-cath and get an IV through the arm. She put her arm out to let the nurse put the IV in and I told her “don’t look, don’t look”, but she looked at the needle and then turned to me and said, “Mommy, I’m a rockstar!”. During this journey, she has given me strength; her daddy has given me strength; Ford has given me strength. Oakley is a fighter and she is the strongest little girl I know; I get my strength from her. She is both my superhero and my rockstar.